Re: Regarding Maslows hierarchy of needs. Aim't desire to help mankind part of "social needs"? The desire to see fairness is a social desire. Social needs are much more rudimental. We all have social needs, while very few og us feel the desire to help mankind. Most of us have enough with work, some entertainment in the evenings, and maybe some sport activities. Bill and Melinda Gates probably feel the desire to help mankind, since they made the Bill & Melinda Gates Foundation which seems to be about helping mankind. People don't need to be as rich as them to feel this desire. For example, Maria Montessori probably felt such a desire when she invented Montessori education. Some of the people that work for free with helping the poor and discriminated might altso feel this desire. Helping those in need is a pretty basic feeling for many. If I see need, I try to help the ones concerned. IMHO, that already is part of my social needs, and part of helping mankind. I don't know. I think many people do such things more because they feel it is an obligation. For example. An individual started arguing to me that he already had done his share of activities to help mankind, and started giving me examples of what he had done. But he thought that since he had done so much already, he no longer needed to do such activities. This clearly shows me that he thought helping mankind was an obligation, rather than that it was something he desired. This tendency to think we have an obligation to help mankind is especially common among religious people. If I like it, I am going to include it with the educational books for children from 18 to 21 years old. Do we still need religions? Social cohesion is needed to keep a society together. Religious morality has traditionally been involved in creating a common framework for righteousness and misbehavior, while Aristotelian logic and physics have been involved in creating a common framework for truth and falsehood. Even though modern science to a large degree has evolved from Aristotelian physics, it is not necessarily a good idea to teach Aristotelian physics today, since modern science gives a much more accurate description of reality. 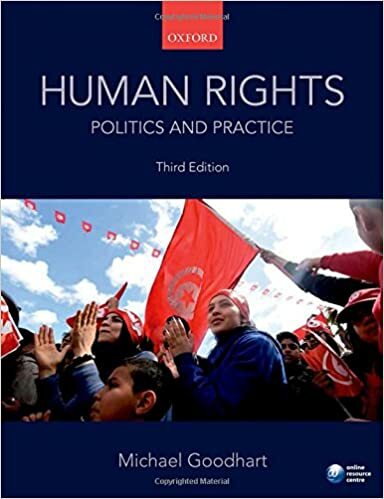 Similarly, our modern understanding of human rights has to a large degree evolved from religious morality, but seems to give a much more elaborate foundation for morality; especially in regard to equal rights for women, homosexuals, and all ethnicities. you live in a rich country with education and no hunger and no sufficient housing and no poverty and no opression. as such you don't need religion. many people live in countries where these things are not available. they turn to religion to get them through their daily lives. Okay, but many of those countries are heavily involved in discrimination against women, homosexuals, and other ethnicities. Often because of religious beliefs. I thought maybe this guy would be nice to watch for intelligent left-wing intellectuals that want to decrease their confirmation bias. I disagree with lots of what this guy is saying, but he has some valid points. Excessive liberty and excessive governance are equally dangerous. The more prohibitions there are, the less virtuous people will be. The more subsidies there are, the less self reliant people will be. Governing a large country is like frying a small fish. You spoil it with too much poking. All things in moderation, including moderation. Good people strengthen themselves ceaselessly. Strength of character is the backbone of our human culture. Blessed are you when people insult you, persecute you and falsely say all kinds of evil against you, since it strengthens your character. When no one outside ourselves can rule us inwardly, we become free. Since I think Jordan Peterson's new religion is dangerous (he might even be the antichrist), I have written this article to destroy it. That took a bit of a turn to the left in the middle, and it's not clear how the rest supports the main thesis. He arguest that we shouldn't dismiss the past so quickly, which I guess is a somewhat valid claim. I do however think that if we are going to do a scientific investigation of important people and documents from the past, we need to look upon people and documents from all over the world. He makes it sound like the only document we need to pay attention to from the past is the bible, while the only really significant person from the past is Jesus. This doesn't strike me as a very scientific investigation of the past. I have listened to most of Jordan Peterson's bible lectures now, and I don't think he is a scammer anymore. He actually seems like an honest person. In the lectures he speaks a lot about the necessity for children to have stories. In his childhood, that story came from the bible, so he has connected everything in his philosophy back to the bible. He believes that there is something intrinsically superhuman about the bible. As if since his brain finds so many connections to the bible, there must be something supernatural about the bible. Personally, I think he is suffering from apophenia. The human brain is hard-wired to find patterns/connections, even if there aren't necessarily any patterns/connections. Anyhow. I just came to realize that I have a similar bias, like many of you guys here. I didn't get inspired from biblical stories as a child, I got inspired from Star Control 2. So naturally my brain has been overly active at connecting everything to Star Control 2. This has made me speculate that maybe we need a central childhood story. I don't necesserily know how my brain would be operating if I hadn't played Star Control 2 as a child. Anyhow, I certainly don't think we need to learn the biblical stories. Star Control 2 seems like a much better choice. I am putting these heavy story driven games into the age group from 9-12 years old now, since I think it is important to get such stories implemented as early as possible, if they are going to function as a basis for how the neural network develops later in life. Maybe I should look more into what kind of deep insightful stories are available today. There was another story rich game I played as a child, called Quest for Glory. Unfortunately, there doesn't seem to be any community making a HD remake of that game. I am also considering these TV shows as a good source of childhood stories. I am however a bit uncertain about if it is wise to expose children to such dark stories so early in life. On the other hand, maybe that is exactly what they need. The old testament is certainly quite dark. The catholic church often scares kids with the idea of "going to hell" if they don't behave properly. Maybe Grimm isn't so bad, since there are actually monsters in the world. This is also parts of what they are trying to tell in the game "Life is Strange". I am fully aware that this might give kids nightmares, but you shouldn't necessarily think of nightmares as something uniquely bad. Having nightmares every night is bad, just like chronic inflammation is bad. But since the brains of children are highly malleable, they might easily develop new neural pathways to deal with "the fear". If people aren't exposed to "the darkness" before late in life, they might very well not be able to develop neural pathways to deal with "the fear", since their brains are much less malleable. Chickenpox for example, is much more dangerous for adults than for children. Since we know that the brains of children are much better at forming new neural pathyways, maybe we also should expect their brains to be better at dealing with fear. I just found a few youtube videos related to world governance. One of them even had more than 1.4 million views. I hope this discussion will enter mainstream soon. What If The Earth Was Only One Country?